WASHINGTON — Support for legal abortion in the U.S. has edged up to its highest level in the past two years, with an Associated Press-GfK poll showing an apparent increase in support among Democrats and Republicans alike over the last year. Nearly six in 10 Americans — 58 percent — now think abortion should be legal in most or all cases, up from 51 percent who said so at the beginning of the year, according to the AP-GfK survey. 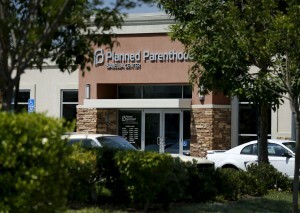 It was conducted after three people were killed last month in a shooting at a Planned Parenthood clinic in Colorado. However, just over a third of Americans want laws on abortion to be stricter than they are now, the poll shows, while a quarter think they should be less strict. While support for legal abortion edged up to 40 percent among Republicans in this month’s poll, from 35 percent in January, the survey found that the GOP remains deeply divided on the issue: Seven in 10 conservative Republicans said they want abortion to be illegal in most or all cases; six in 10 moderate and liberal Republicans said the opposite. Count 55-year-old Victor Remdt, of Gurnee, Illinois, among the conservatives who think abortion should be illegal in most cases. He’s adopted, and says he “wouldn’t be here talking” if his birth mother had opted for abortion rather than adoption. Remdt, who’s looking for work as a commercial driver, said he’d like to see abortion laws become more restrictive but adds that he’s not a one-issue voter on the matter. John Burk, a conservative Republican from Houston, Texas, is among those whose position on abortion is somewhere in the middle. He reasons that banning the procedure would only lead to “back-alley abortions.” But he’s open to restrictions such as parental notification requirements and a ban on late-term abortions. Among Democrats, 76 percent of poll respondents now think abortion should be legal all or most of the time, up slightly from 69 percent in January. Independents are more evenly split, with 54 percent saying abortion should be legal all or most of the time, edging up from 43 percent in January. For Larry Wiggins, who describes himself as a liberal Democrat from Henderson, North Carolina, legal access to abortion should be — but isn’t — a settled matter. Nefertiti Durant, a 45-year-old independent voter from Columbia, Maryland, sees abortion as more complex matter, calling it “kind of a Catch-22.” She thinks a woman should have the right to choose abortion but she’s “not so keen on the fact that just anybody can go and have an abortion.” She worries that young people may not understand the effects of the procedure, and the “deep issues” that go along with it. It undoubtedly will be up for discussion, though, in a presidential election year. All of the Republican presidential candidates say they favor restricting abortion rights. The Democratic candidates support broad abortion rights. Interest in the issue picked up this year after anti-abortion activists began releasing undercover videos they said showed Planned Parenthood personnel negotiating the sale of fetal organs. Planned Parenthood said any payments were legally permitted reimbursements for the costs of donating organs to researchers, and it has since stopped accepting even that money. Republicans have sought to cut off federal funding for Planned Parenthood, and several GOP-governed states have tried to block Medicaid funding to the organization. Overall, the poll found, 45 percent of Americans have a favorable opinion of Planned Parenthood, and 30 percent have an unfavorable opinion. A quarter said they don’t know enough about the organization to say. The AP-GfK Poll of 1,007 adults was conducted online Dec. 3-7, using a sample drawn from GfK’s probability-based KnowledgePanel, which is designed to be representative of the U.S. population. The margin of sampling error for all respondents is plus or minus 3.4 percentage points. Respondents were first selected randomly using telephone or mail survey methods, and later interviewed online. People selected for KnowledgePanel who didn’t otherwise have access to the Internet were provided access at no cost to them.